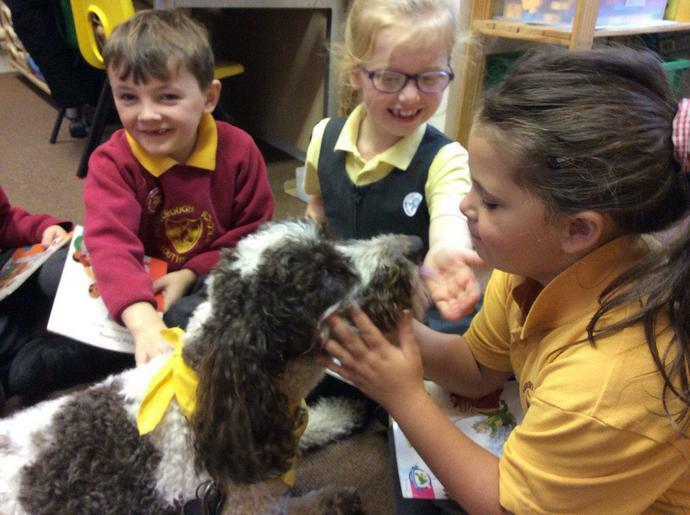 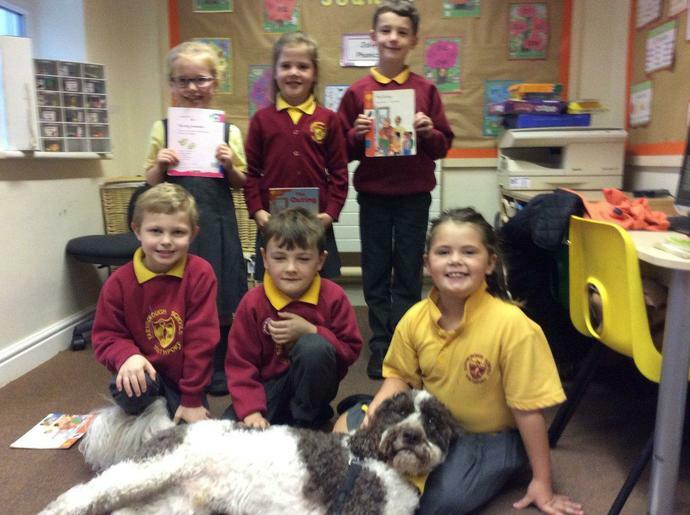 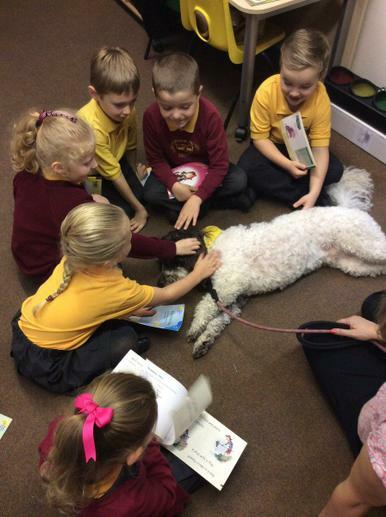 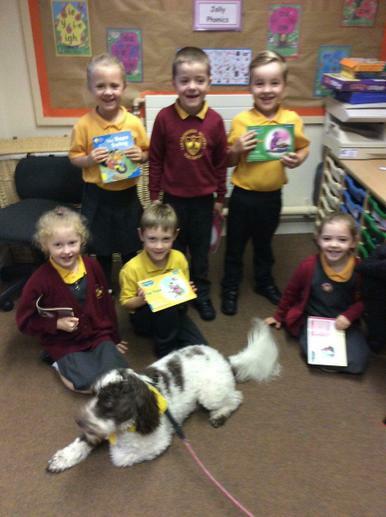 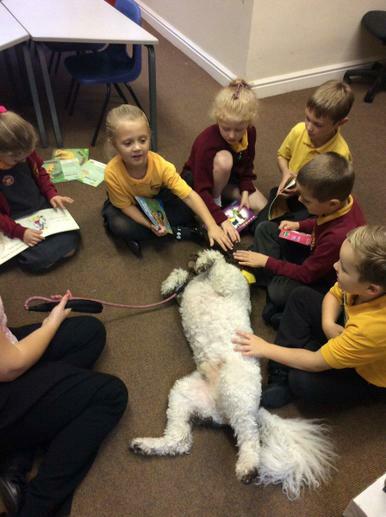 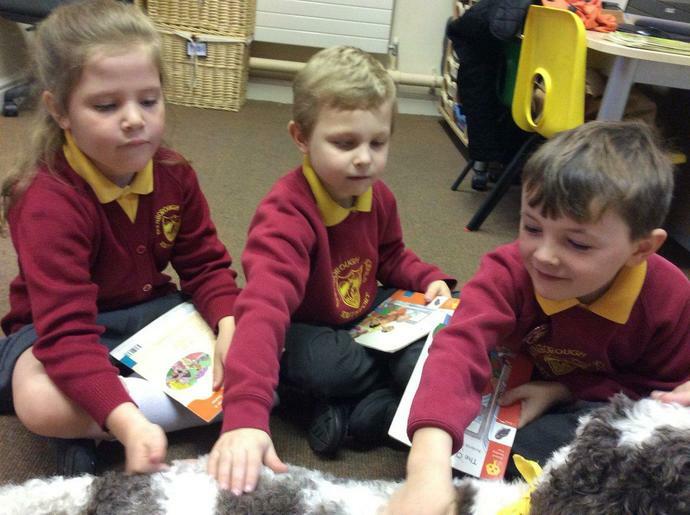 Archie Visits school - Our very own reading dog ! 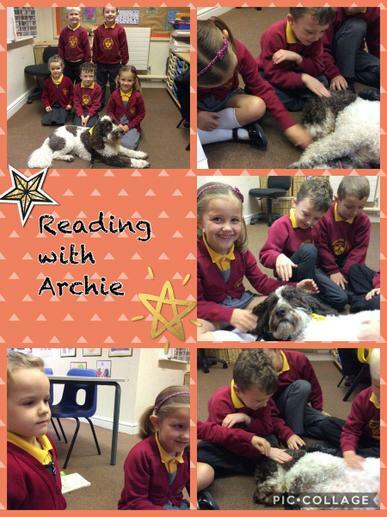 Archie visits school every half term to read with our children. 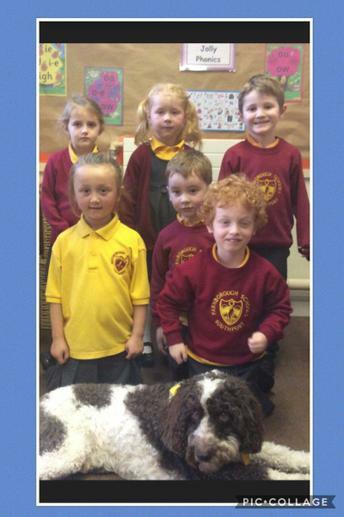 We all love Archie at FRIS.